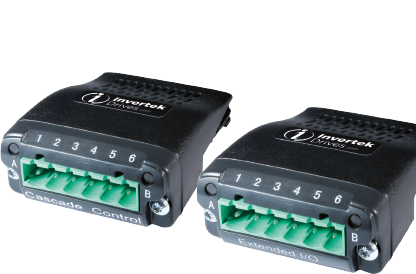 Where additional digital inputs and outputs are required, a range of plug in options are available to add additional Input and output connection points to the drive. OPT-2-ENCOD is a plug in encoder feedback interface for Optidrive P2, allowing closed loop motor control. The interface is compatible with 5 volt TTL type encoders only, up to 4096 ppr.